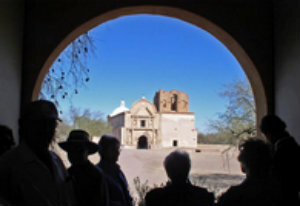 Heard Guild Explorers features day trips in and around the Phoenix area. Please contact travel@heardguild.org to obtain more information or to suggest (or lead) an outing. Past outings include a docent led tour of the Museum of the West exhibits and a visit to the Commemorative Air Force Museum in Mesa. We will meet on Tuesday April 23 at 9:50 at the Cave Creek Museum, 6140 Skyline Drive, Cave Creek 85331. This small museum has a very good collection of ancient pottery and stone tools made by American Indians of this area. It also has an interesting collection of artifacts and photos regarding the history of Cave Creek. These exhibits high light artifacts that are not emphasized in the Heard collection. There will be a docent explanation of the archeological section. In addition, just for us the museum will fire up the full-sized stamp mill that has been reconstructed on site. This will be at the start of the tour at 10 AM. This giant machine was used to break large rocks into small gravel so that minerals could be extracted. After the tour we will have lunch at the popular Horny Toad in Cave Creek, just a five-minute drive from the museum. The museum entrance cost is $4. Please send a check made out to Kurt Kahlenbeck by April 17 so I can make final reservations. My address is: Kurt Kahlenbeck, 1235 N. Sunnyvale #27 Mesa, Arizona 85205. Contact Kurt at kurt_dipont@hotmail.com with any questions. 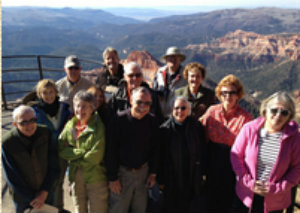 The Guild arranges guided trips each year for Guild and Museum members only. Not only will you travel with people who share your interests, you will have the finest interpretive guides who are experts in their fields. 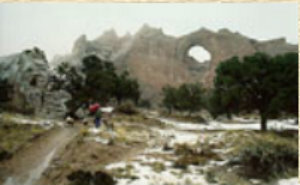 Most trips are in the Southwest but sometimes we travel further afield. For more information about any of the Guild trips, contact travel@heardguild.org. Heard Museum membership is required for all participants. If you or your travel partner aren’t museum members, please visit www.heard.org and click on the support tab on the top banner of the home page for information on how to join. Hopi Arts, Hopi Culture — May 10-13, 2019 — SOLD OUT, but we are taking names for a Wait List. 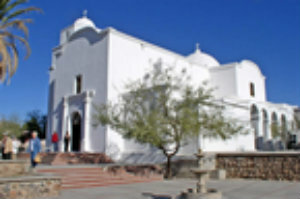 In conjunction with Tohono Chul, we will travel to the land of the Hopi where culture and tradition are rooted in the land. We will be introduced to silversmiths, potters, basket weavers and katsinam carvers working in both historical and contemporary ways who will share with us their art, their lives, and their rich cultural heritage. Departure over the Mother’s Day weekend will improve our chances of witnessing the very special celebrations that may be taking place in many of the villages. The itinerary will be posted when available. The registration form is here. 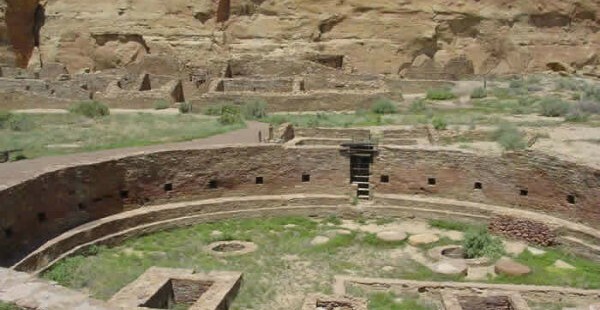 geologist, Native American historian, and authority in the fields of archaeology and anthropology, we will spend two days at Mesa Verde and a day at Chaco Canyon. The itinerary is here. The registration form is here. What Our Travelers Have to Say….. The trip was of course wonderful, a sharing of knowledge, history, beautiful art and beautiful people. But I thought I would share with you what I said without a moments thought when some one asked me what the best part of the trip was to me: hugging old friends and getting to know new friends. Thank you for an amazing trip. This trip was an immersion into the Hopi way of life, philosophies, artists, the land, etc. Mark certainly shared his love and appreciation of all that encompasses Hopi! Traveling to Mata Ortiz was on my bucket list and the recent Heard tour was even more spectacular than I could have ever imagined. First there was the Heard team…Shelly, Steve with South of the Border Tours and guides Greg and Bob. All were knowledgeable professionals who kept us informed, entertained, well fed and safe! Then there were our fellow passengers…an interesting and diverse group whose common goal was to support these artists by buying lots of pots! Yes, we happily contributed to their struggling local economy. But most importantly were the creative potters..both men and women who make beautiful pots from the local clay, natural pigments, and a simple firing process. We were most fortunate to meet the man who started it all, Juan Quezada and see firsthand how he and his family make the intricate beautiful pottery right in his own backyard. He inspired us with his generous teaching style and his simple but profound wisdom. I have been fortunate enough to take several Guild trips organized by Shelly. They are entertaining as well as educational: she chooses excellent drivers, knowledgeable guides, and locations that entice exploration. There’s always a variety of activities to please everyone, a balance between structure and free time, and pleasant but affordable accommodations. Not a Guild member yet? Want to travel with us? Don’t miss out joining in on these great travel experiences.